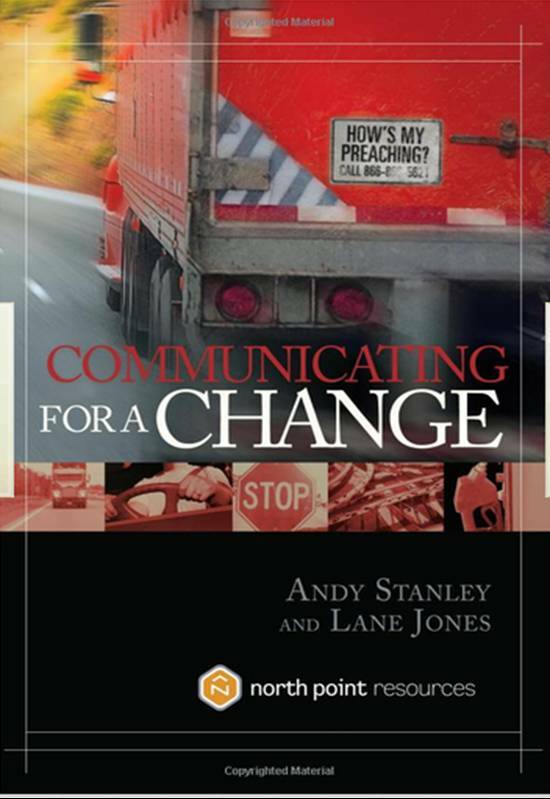 I just finished Andy Stanley’s Communicating for a Change. As an experiment, I scrapped my typical preparation routine and used the one he proposes this past weekend at Frederick Pike. The book is full of great observations about how to engage with our listeners. I really enjoyed the book and know it will be a part of my preaching philosophy and practice for a long time to come. Can you, in a few short words, eliminate all the other possible places my mind can wander over the next thirty minutes? When I get to where you want to take me, will I know I’ve been there? It’s what I call a one point message. If you give people too much to remember, they won’t remember anything. If we give people three or four things to apply to their lives each week, they’ll quit before they even begin. Write down all your thoughts. Just don’t use them all in one message. We don’t have anything meaningful to say if God doesn’t give it to us. Way too many preachers hide behind the excuse that it’s up to the Holy Spirit to apply the message to the heart of the hearer and then not give the Holy Spirit anything to work with. I talk about me and the challenges we face. Then I look at what God has said about it. I offer personal application so that you can change your life and then how we can all celebrate that change together. Internalize a message until it’s a part of you and you own it. How can you expect your listener to care enough to remember what you’re saying if you can’t remember? It’s not enough to say, “I have the truth of God’s Word up here and it’s your job to listen.” That might have worked years ago, but not today. No way. Today you have to show people how the truth impacts their lives. Raise an awareness of a past, present or future need in their lives that makes them way to listen to you and follow you to an answer. We shouldn’t water down the message. I’m saying that we take the life-changing message and make very sure we apply it to lives that are ready to be changed. It’s just that we have to remind them that they want to change. Previous what makes a sermon successful?